We would like to thank you for hosting the meeting in a country, in a region which has been suffering for years and, in recent days as well, as the imperialist intervention and invasion is almost a permanent feature which marks all the levels of barbarity, authoritarianism. Greece is also part of the wider region and for that reason we always feel that it is our duty not only to express our internationalist solidarity but also to take seriously into account the developments which have an impact also on our country, as a capitalist country which is completely assimilated into the strategic objectives of the EU, the NATO and the USA with the voluntary agreement of the large majority of the political forces. We have condemned the strategic agreement that Greece has signed with Israel, as it definitely has nothing to do with the common interests of the peoples but is related to the anti-people strategic objectives of the bourgeoisie in our country and Israel too. It is a strategic cooperation, both military and economic, which aims at the participation in the unconditional and relentless struggle for the energy resources and the resources of the region in general. Greece is willing to contribute to the military interventions of Israel especially if Israel decides to attack Iran. Indeed it carries out joint military exercises with Israel which include exercises identical to military operations either against Syria or against Iran. It is not at all accidental that the Greek government has not expressed sympathy with the tormented Palestinian people who are once again being bombed, not even at a formal level, while the other parties of the opposition are basically silent. Although the wider region has been suffering for many years from the multifaceted imperialist intervention to the benefit of reactionary governments and regimes, however, the situation we have experienced over recent years and today is directly related to the development of the deep and prolonged economic capitalist crisis in the Eurozone which has a direct impact globally and indeed on the well-known as well as on the emerging imperialist centers and powers. The crisis we are experiencing, which had the USA as its starting point, is the continuation of the crisis which broke out at the end of the 1990s in the so called Asian tigers, in Russia as well in countries of Latin America. The recovery which occurred had not reached the previous rates. We do not at all exclude an anemic recovery which will be followed by a deeper synchronized crisis in the EU, the USA and Japan. The capitalist system cannot manage the crisis as easily as it could before. It cannot manage the consequences of poverty and the destitution as it did previously. Of course this does not mean that the system will collapse on its own, due to its contradictions, unless a powerful labour movement is formed in each country capable of launching a general assault and being prepared when the revolutionary situation breaks out, or when it seems to be impending. The revolutionary movement will not emerge suddenly, it is being prepared, it is being educated, it acquires experience in the daily struggles. The outbreak of the generalized and synchronized economic capitalist crisis brought to the forefront the historically outdated and inhuman character of the contemporary capitalist system, the timeliness and necessity of socialism, the need for the international communist movement to regroup. The question is which labour movement, which people’s movement can go through the rough path which is full of turns, ascents and descents, without trapping itself, without degenerating since the previous and recent experience has provided a great deal of evidence regarding such a danger. Which labour and people’s movement will rise up against the imperialist aggressiveness, will open a front against imperialist war, imperialist peace so that the peoples will not shed their blood for the interests of the imperialists. The line for the strengthening of the labour movement, its alliance with the popular strata, can be tested, be prepared, and wage the every day struggles only on one path: the path of the emancipated struggle for anti-monopoly and anti-capitalist goals at a national level and in terms of internationalist cooperation and joint action. Today, contemporary patriotism is expressed with the struggle for the overthrow of capitalism, for socialism. No capitalist country, regardless of how advanced the parliamentary democracy is, can guarantee national independence for its people, the respect of sovereign rights except in a merely formal sense and without a substantial content. We closely follow the reflections, the discussions which take place in the communist movement concerning imperialism, the strategy of the movement, the accusations launched against the liberal policy of managing the capitalist system. In our opinion, today it is worth taking steps forward and making leaps in practical activity and in the effort to rally broader workers’ and people’s masses and it is equally important to clarify serious ideological and theoretical issues which are related to the strategy and the tactics of the movement against imperialism. The political line which today prevails at a global level is not merely a recipe of liberal management, as it is usually claimed. Irrespective of the partial differences between liberal and social democratic recipes, they constitute the contemporary pro-monopoly strategy which was elaborated after the crisis in 1971-1973 as a response to the problem of the tendency of the average rate of profit to fall in conditions of inter-imperialist rivalry and while uneven development is sharpening, as it is in the DNA of the international capitalist system. The components of the contemporary pro-monopoly political line are cheaper labour power, reactionary restructurings, the "liberalization," the privatizations, the imperialist intervention and the war for the redistribution of the markets. This pro-monopoly policy was followed and is currently being followed by liberal and social democratic bourgeois governmental forces and even by centre-left governments over the last thirty years. It started from the USA and Britain and extended to the EU. In the 20th century neither the liberal nor the Keynesian management were able to cancel either the economic crisis or the imperialist war and nor can they now. A central issue is to convince the broadest possible section of the working class, of the working people about the real character of the crisis, as a crisis of over-accumulation on the basis of capitalist ownership and class exploitation; to confront using arguments the systematic effort to misinform and obscure in order to conceal the true causes and the factors of the crisis; the theories concerning "casino capitalism", concerning a crisis which is merely due to the financial system, due to the "overconsumption" or the opposite due to "underconsumption". The labour movement and its allies must not be trapped into the various formulas for the management of the crisis which appear today in the EU but also internationally because there is no formula for a way-out of the crisis in favour of the people. Besides, all formulas which have been clearly expressed are based on cheap labour power, they negatively affect a big part of the small and medium sized strata. They support the capitalist restructurings. Today there is an intense discussion, there are serious disagreements among EU member-states, among the sections of the bourgeoisie in each country, among bourgeois political parties over whether a controlled bankruptcy constitutes a solution, over whether the Eurozone must remain intact, over whether the EU must be transformed into a federation that will very likely lead to the expulsion of some states etc. The theory that the exit from the Eurozone and even from the EU would help a bourgeois government to be freed from the commitments of a single currency, to print its own money, to attract investors who bet on a cheap national currency etc., is being fostered by officials from bourgeois political and business circles. This position has a class character to the extent that it is promoted by sections of the bourgeois class and speculators and has no relation at all with the class position of the KKE for working class people’s power, disengagement from the EU, unilateral cancellation of the debt and socialization of the monopolies, for productive people’s cooperatives in agriculture which are integrated to an extent in the central planning. The opportunist forces that take a position against the German recipe support a relaxation of fiscal policy and a controlled bankruptcy, and indeed they are promoting the view that there is a transitional political programme for struggle and power through which the interests of the monopolies and the working people can be balanced. Such a governmental programme which has favourable results both for the monopolies and for the peoples has never existed anywhere and does not exist today, that is to say this has never been borne out at a national level or in a group of countries. It is no accident that no country is invoked by them as an example of the implementation of such a choice. We are in a period when the inter-imperialist contradictions in conditions of a deep crisis are pushing sections of the bourgeois class, the entire bourgeois class of the one or the other country to choose whether they will stay in an imperialist camp or whether they will move into another one, to decide which imperialist power it is in their interests to side with. Realignments are taking place in the imperialist alliances, there is a fluidity regarding this issue, something which in our opinion is also related to the wider region of the Eastern Mediterranean and even North Africa. The alignment of the labour movement and its allies with one or the other management formula, with one or the other imperialist power means submission and enlisting under a false flag. Look at the situation inside the Eurozone. The German and French bourgeois classes are faced with serious dilemmas related to the future of the Eurozone. Despite their contradictions, they came to a temporary fragile compromise, as they have in the past, which does not alleviate the barbarity of the anti-worker measures and the reactionary reforms, and it also does not negate the causes of the sharpening of the inter-imperialist contradictions. The dominant trend in the German bourgeois class sets the buttressing of the Euro, the stability of the currency as a priority, and refuses to shoulder the costs of the depreciation of capital in the indebted countries. A second trend which is being strengthened in the EU is the one which wants to keep the Eurozone intact so that the European market does not shrink in the face of the tough international competition. A third trend calls into question the current form of the Eurozone in its entirety and prioritizes the approach to the China-Russia axis. The bourgeois governments, the liberal, social-democratic and so-called left renewal parties line up behind the forces that express the contradictions and seek to assimilate the labour movement and its allies into one or the other version of management which are schematically characterized as the restrictive one and the expansive one. We are certain of one thing, without underestimating the difficulties placed in the way of the strengthening of the movement by the illusions and utopian views, that objectively larger sections of the working class will come to oppose the bourgeois management solutions which are trying to control the extent of capital depreciation and the distribution of the damage amongst its various sections. The communist parties, the radical vanguard must not lose their independence in thinking and action in the face of the various blocs which are siding with the one or the other imperialist power, with a section of the bourgeois class against another section, in favour of the upper middle strata. The anti-monopoly anti-capitalist character of the struggle must be strengthened, and the commitments and dependency which countries and peoples are suffering from, countries assimilated into the imperialist unions like NATO and the EU must be dealt with from this standpoint. The character of contemporary patriotism is identified with the overthrow of bourgeois power and the capitalist ownership of the means of production, withdrawal from every capitalist inter-state coalition and imperialist alliance. Consequently, the so-called anti-German front, or the anti-American front i.e. against the USA, on its own cannot express or cope with the struggle against imperialism, against the consequences of the crisis. We also must not ignore the fact that monopoly capitalism i.e. imperialism determines the fate and course of states which do not belong organically to imperialist unions. There is no country today which is not connected in some way to the global and regional system of imperialism, that is to say to the global capitalist market, and to its regional markets. The capitalist development path is the path which leads to the looser or tighter assimilation into the imperialist system and for this reason the anti-imperialist struggle is anti-capitalist as we are dealing with the imperialist stage of capitalism. The peoples do not become militant when they are influenced by views which detach the imperialist political line from monopoly capitalism, that identify imperialism only with unequal international relations, imperialist intervention and war. That is to say when internal contradictions are detached from the inter-imperialist ones. The Communist Party must lead the independent organization of the workers’-people’s resistance in all its forms, so that the resistance is connected to the struggle for the complete defeat of the bourgeois class, domestic and foreign as an invader, so that the antiwar struggle is connected to the conquest of power in a practical way. A front of workers and peoples must be formed at the initiative and with the leadership of the party in all forms of activity, with the slogan: The people will provide the freedom and the way out of the capitalist system which as long as it prevails brings war and peace with a gun to the people’s head. Today in Greece we support the People’s Alliance which expresses the interests of the working class, the semi-proletarians, the poor self-employed and poor farmers, also the self-employed scientists who, even if they still have greater freedom than the salaried ones, will increasingly be transformed into salaried employees in large capitalist businesses with a low income or into unemployed or semi-employed. From this standpoint, we reject any support for political forces which back the one or the other management formula. There are processes taking place in Greece today for the reformation of the political system, as the system of two-party alternation between the liberal ND and the social-democratic PASOK cannot function anymore, particularly due to the disintegration of PASOK. A large section of the cadre apparatus of PASOK, sections of the labour aristocracy and government-led trade unionism, sections of the intermediate strata which operated as satellites of the monopolies, managing a section of the EU subsidies, have changed party, they jumped over to SYRIZA. SYRIZA is being transformed from an opportunist party into the successor of social-democracy maintaining certain slogans in order to keep its profile of left communist renewal. The KKE resisted the major pressure which was exerted on it so that it would state that it would participate in a government with SYRIZA at its core, i.e. in a government which would have programmatic positions with a clear direction of supporting capitalist development in a contradictory way something which determines in advance its full assimilation when it becomes a governmental majority. 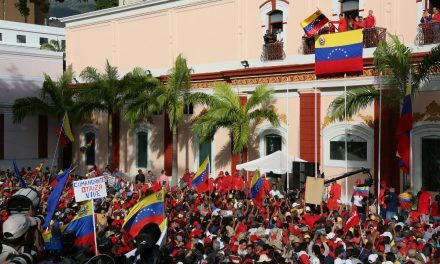 This position had an electoral cost, but it did not deprive the party of the ability after the elections to mobilize and organize the popular masses. It is a legacy for the future for a movement which will avoid dangerous traps and blunders which will harm the people’s interests and which in the end will break it for a long and crucial period of time. The KKE made its position clear from the very first moment of the mobilizations in the countries of North Africa and the beginning of the armed conflict in Syria. Whatever popular participation was noted, particularly in Egypt and Tunisia, certainly expressed people’s problems domestically, the rights of the workers, the desire for a change of the political line. But we cannot close our eyes to the fact that they were either provoked or utilised by strong imperialist powers headed by the USA and its competitors over the control of the natural resources, in order to change the government with forces they could better control. We said clearly that it is a part of the plan which Bush had proclaimed as a plan for the "democratization" of the Arab countries, the Arab world. The events in Syria are rooted in the economic, social and political problems which the working class and other popular strata are experiencing. But we are against any attempt at an imperialist intervention by the USA, the EU, NATO, Israel, Turkey, Qatar, Saudi Arabia. We revealed to the Greek people that the USA, the EU and Israel are interested in destabilizing and weakening the balance of forces inside the Syrian bourgeois regime, because its leadership is an ally of Palestine and Lebanon, is opposed to the imperialist positions and plans of the USA, NATO and Israel which today is mercilessly bombing Gaza and is occupying Palestinian, Lebanese and Syrian territories. The weakening, the overthrow of the Syrian regime whets the appetites of the imperialists to attack Iran, to proceed to new dismemberments of states in the region, i.e. a domino effect of destabilization and bloodshed, something that will bring new imperialist wars and interventions. We are of the assessment that we must all work for the common anti-imperialist anti-monopoly struggle, for the disengagement from the imperialist organizations, the removal of the foreign military bases and nuclear weapons, the return home of military forces from the imperialist missions, and the integration of this struggle into the struggle for power. Communist Movement Worldwide Demands: Hands Off Venezuela!